Google doc users have an option to publicly publish their documents online, if you are one of them, you might want to re-consider the same within 2 weeks! 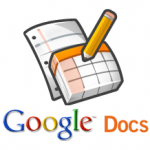 Google will be integrating Google search engine to search your Google docs. Now the big question, how do I protect my documents from being searched? How to make Google and other search engines, give search results from my Google doc? A Goole doc needs needs to be explicitly published using the ‘Publish as Web page’ or ‘Publish/embed’ option and which are linked to from a publicly crawled Web page. Google is very excited about this as it has said in its Blog post; “This is a very exciting change, as your published docs linked to from public Web sites will reach a much wider audience of people”. Want to read more? visit the Google’s blog post. By the way Google is excited, are you? « Google Converts Internet Explorer to Chrome With Chrome Frame Plug-In. What’s next for Google? Will they show our gmail mails in search results?? ?